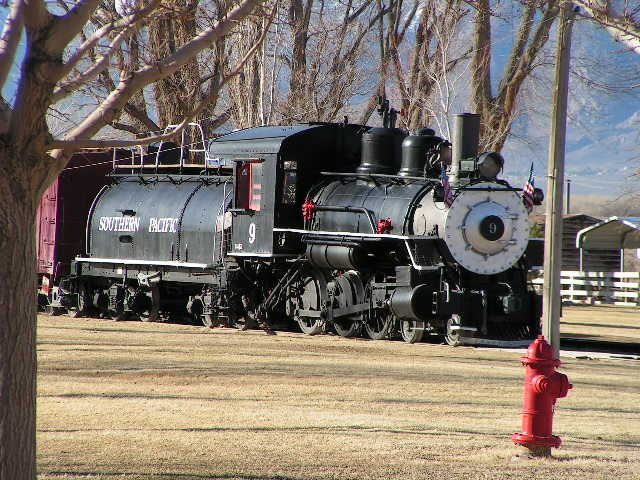 number 5 “the BelleVille” – a Baldwin 4-4-0 built in 1882. 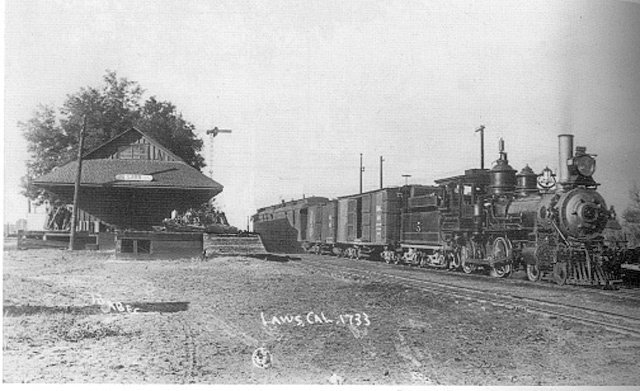 One of the original C & C locomotives … scrapped in 1932 (Forbes photo/McCutchan collection). 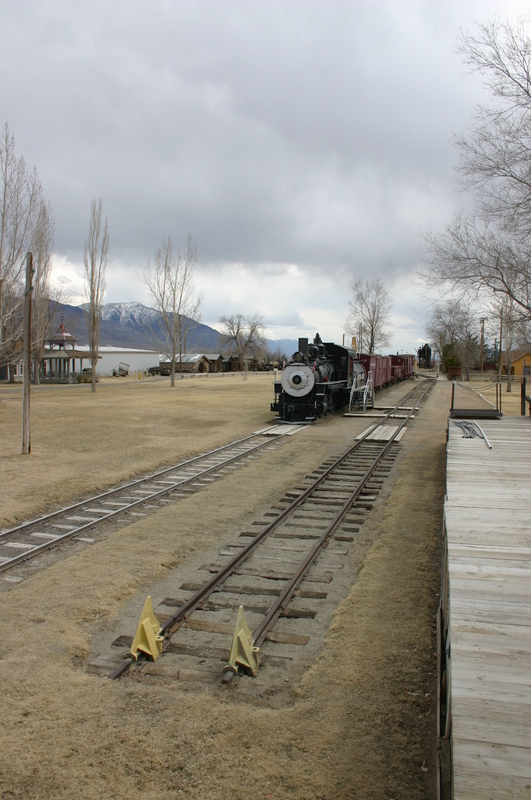 Built in 1882, this hand-operated turntable still looked good in ’54 (Bill Poole photo). 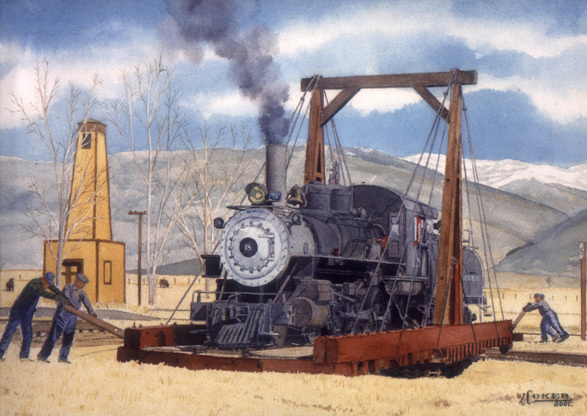 Below, a modern painting from an old photo shows how the turntable was operated. Incredible! 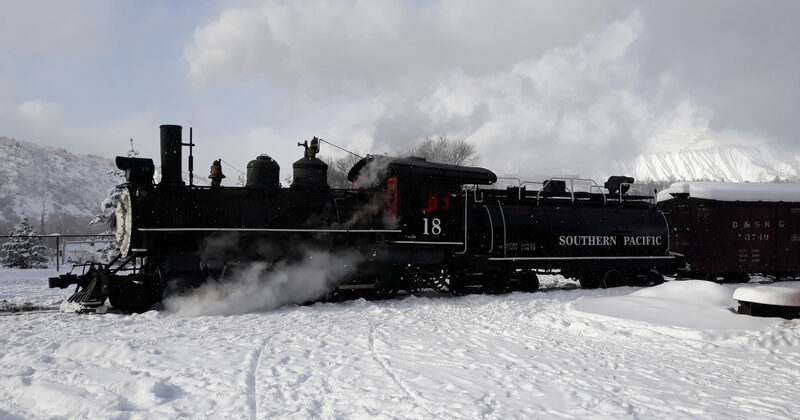 The 4 men probably weighed about 600 pounds while the engine and tender came in at almost 50,000. 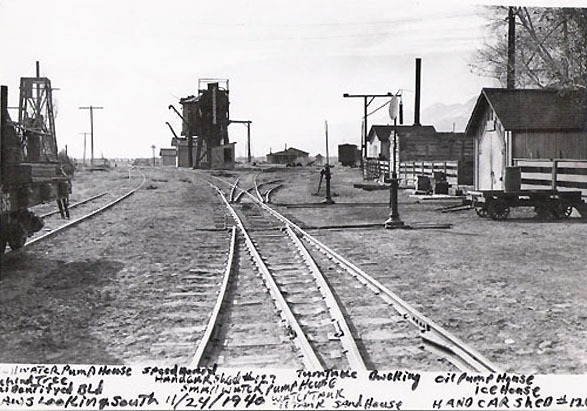 Looking south in 1940. The turntable is beyond the tank. 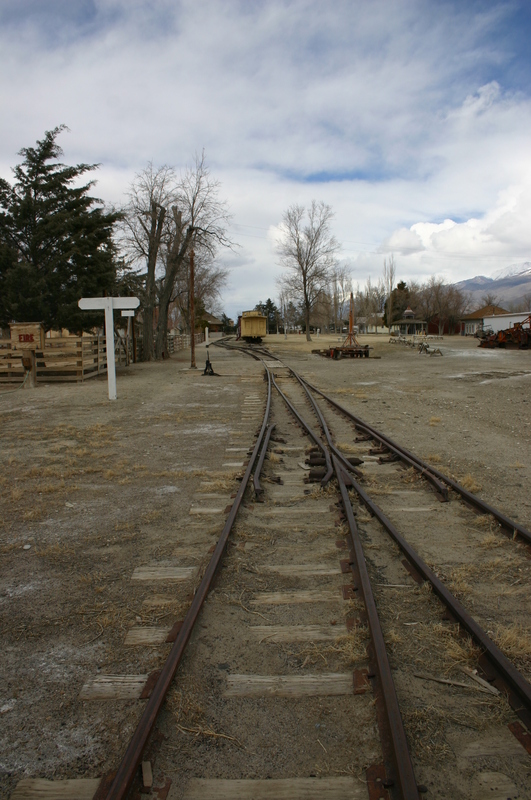 Thanks to the SP’s fore site, today Laws is a beautiful museum complete with a small operating railroad that features the Death Valley Rail car #5. 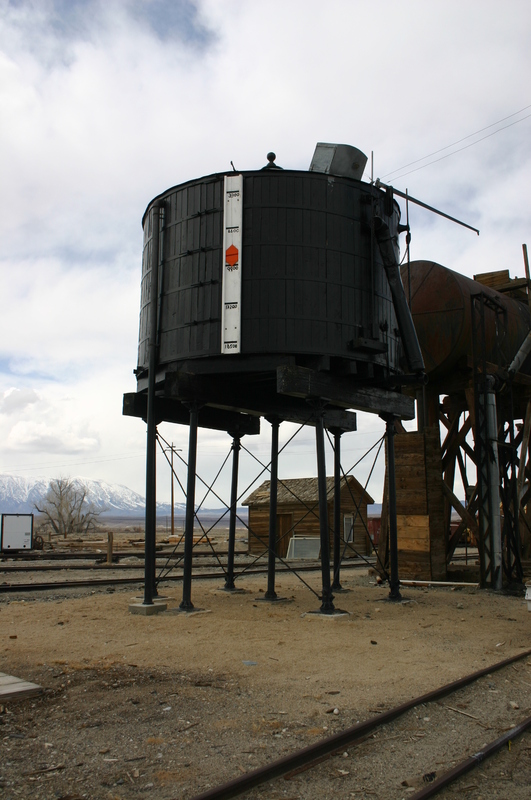 No trip to the Owens Valley is complete without a stop at Laws.